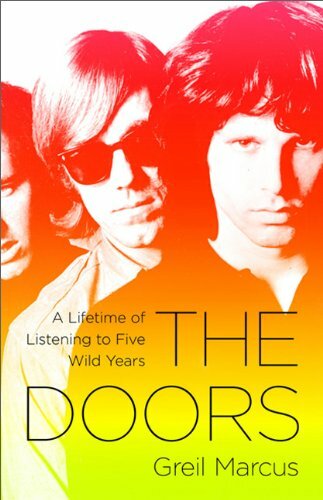 Greil Marcus takes on the Doors. A fan from the moment the Doors’ first album took over KMPX, the revolutionary FM rock & roll station in San Francisco, Greil Marcus saw the band many times at the legendary Fillmore Auditorium and the Avalon Ballroom in 1967. Five years later it was all over. Forty years after the singer Jim Morrison was found dead in Paris and the group disbanded, one could drive from here to there, changing from one FM pop station to another, and be all but guaranteed to hear two, three, four Doors songs in an hour—every hour. Whatever the demands in the music, they remained unsatisfied, in the largest sense unfinished, and absolutely alive. There have been many books on the Doors. This is the first to bypass their myth, their mystique, and the death cult of both Jim Morrison and the era he was made to personify, and focus solely on the music. It is a story untold; all these years later, it is a new story. To be released in November. Next Next post: SPIN SPUN?